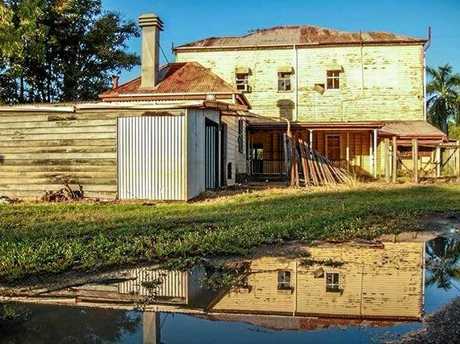 WHAT was once a bustling haunt for Rockhampton workers to enjoy a knock-off beverage has turned to ash overnight as a hundred years of history went up in smoke. While the community mourns the loss of an iconic building in the region, the memories made inside stand out from the ashes. 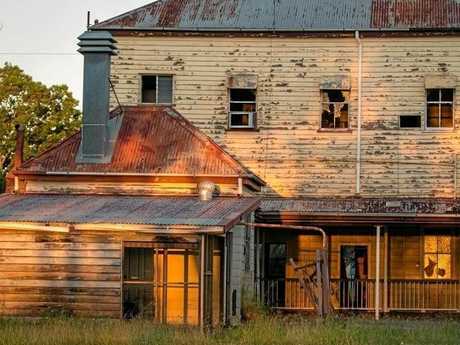 Thought to be built in the late 1800s, the timber and iron building was a distinct feature in the Rockhampton landscape. 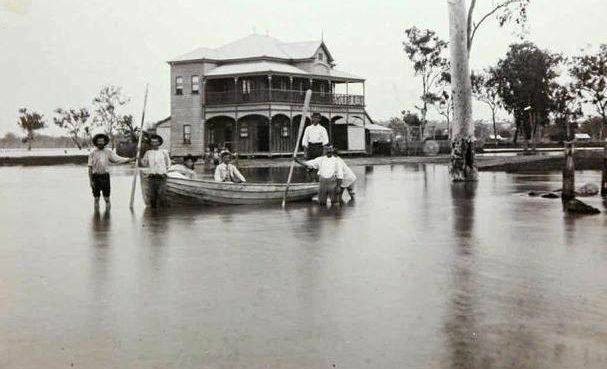 Early historical records of the pub reveal it withstood the 1890 Rockhampton flood where the region was hit with a huge deluge of 2096mm of rain. The downstairs section of the two-storey building housed a bar, commercial kitchen and beer garden, while upstairs had accommodation. The pub was also a hot spot for Rocky cyclers who often raced between the Port Curtis hotel and places as far as Gladstone through the early 1900's. In its heyday, the Archer was a popular haunt for workers at the Hastings Deering plant on the adjacent site, with a mechanical bull and rodeo events among its attractions. Stories of petty crime are scattered through historical archives including a story of thieves stealing a change box containing 40 pounds. The usual ruckas of local pubs was also evident with reports of brawls and drunken behaviour written through the decades. The pub relied on the trade from workers for the majority of its life-time but changed hands for the first time in 1989. 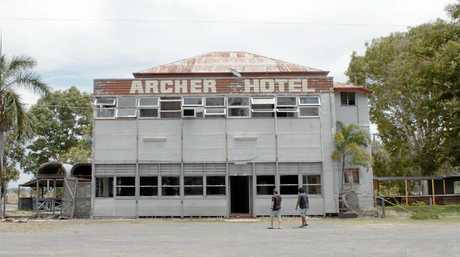 Archer Hotel was sold to the Melits who bought the pub on January 12, 1989. They picked it up for a cool $358,000 and held the ownership for nearly 10 years. In these years, home-grown talent Thomas Busby recapped his times living in Port Curtis in a recent promotional video of his hometown and the memories he held at Archer Hotel. He relived his younger days living across the road from his dad's favourite pub where he was served his "first beer" as a fresh 18-year-old. The hotel was sold in 1988 to Mr James Murphy and again in 2004 to The Ferrys who picked it up for a steal at $150,000. In 2007, the hotel was sold again for $510,000. Several floods inundated Archer Hotel but it was the historic flood of 2011 which was the pub's demise. The Morning Bulletin published a report shortly after on the sudden closure of the pub's doors and the venue never reopened. It sustained serious damage and the current owner, Dean Crocker, could not fix the damage. 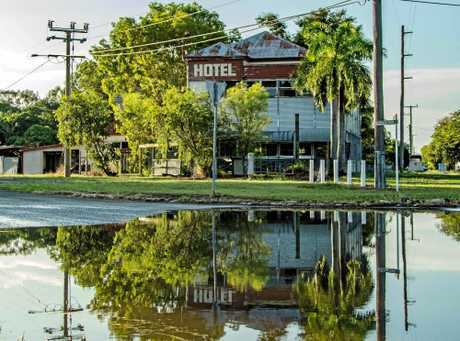 The Brisbane man put the abandoned pub on the market to liquidate his Rockhampton properties in May 2017. Just last month, the online advertisement for the sale of the property was edited to drop the price to $150,000. The Archer Hotel caught fire on Tuesday night where fire crews attended and put the fire out quickly. 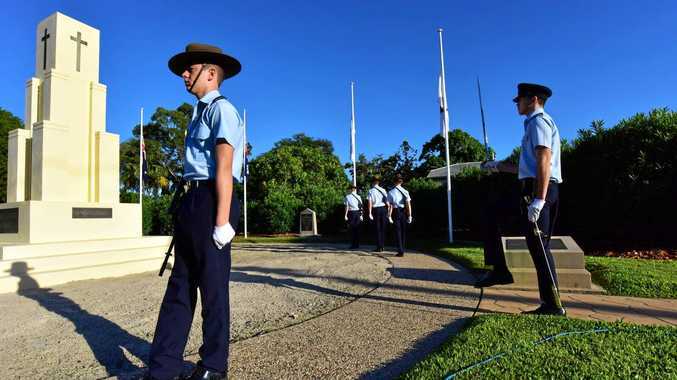 Queensland Police Service were called to the scene earlier the next morning where a crime scene was set up to investigate the cause of the fire. A QPS spokesperson yesterday afternoon said the cause of the fire was undetermined as authorities could not gain safe access inside.